Nuby is hosting an Ultrasound Contest on Facebook!! This contest is for moms who are currently pregnant or have just given birth. Show off your beautiful ultrasound and enter for the chance to WIN a Nuby prize! 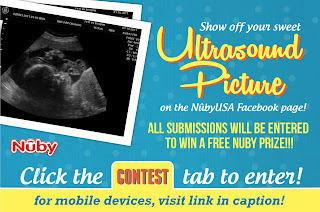 Mobile Device Link for the Nuby Ultrasound Contest!